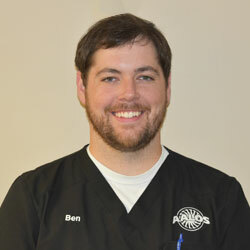 Ben is a graduate of Auburn Montgomery where he received his Bachelors of Science in Biology. Ben then attended Northwestern University’s Prosthetic and Orthotic Program and graduated in 2012. Since joining AALOS in 2008, Ben has become a Certified Prosthetist Orthotist and has an additional certificate in Pedorthics. In January of 2018 Ben opened a new AALOS office in Mobile, Alabama. Ben and his wife, Nicole, and son, Connor live in Fairhope, Alabama and enjoy spending time with family, the beach, and Alabama football!